The Joker and the Penguin team up on a crime wave based on signs of the zodiac. The pair, aided and abetted by a woman known as Venus, keep Batman and Robin on the run. 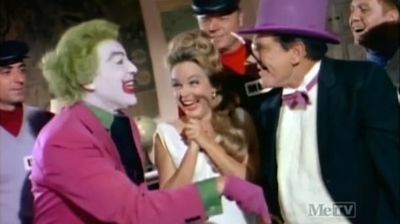 The Dynamic Duo manage to capture the Penguin but the Joker remains on the loose. Batman and Robin figure the Joker's next caper will take place at a museum and lay a trap. But the heroes are captured instead. Now, Batman and Robin face almost certain death; the heroes are to be crushed beneath a giant asteroid on display at the museum.